In 1960 the American company "Filper Research" managed by William Orr built an unusual helicopter. It was equipped with "Gyro Flex" system of rotors. The novelty was in using special sinkers for rotors trimming supported at the base of the blades. This concept was first tested on a Filper Helicopter that had two pylons with rotors connected by a bar and the pilot sitting on top. The engine was also located there. After the prototype, a commercial type of Filper Beta was built. Its design was based on the tandem system with an engine in the front pylon and a two-seat cabin in the back. The funny part was that the pilot sat too far from the nose part. Filper Beta 200 flew on May 26, 1966. 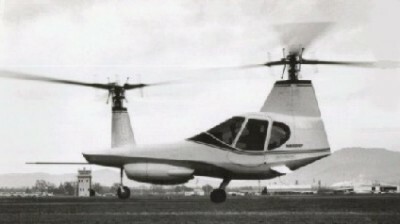 The company designers planned to build several modifications of this helicopter, both two-seat (Model 200A and 300) and four-seat (Model 400A and 600A). The fuselage in the four-seat model was extended 0.9m. The first four-seat helicopter Filper Beta 400A flew on July 13, 1967. Beta helicopters were equipped with different engines. Some had Continental IO 360-E with 155kW capacity (Model200A), others had Allison 250-S18 (Model 300) and Continental IO-520 with 185 kW capacity (Model 400A) engines. The engine type in Model 600-A was unknown. The registration records say that 32 Beta helicopters were built: two Model 100A, 29 Model 400A and one Model 600A but It is doubtful that all of them were completed. In 1969 Filper company closed. Disc Loading: 2.6 lbs./ sq.ft.